I’ve been using Airbnb for Bangkok accommodation as there is a good stock of apartment options to choose from. Half the fun of using Airbnb is discovering amazing accommodation experiences that you would never have with a hotel. 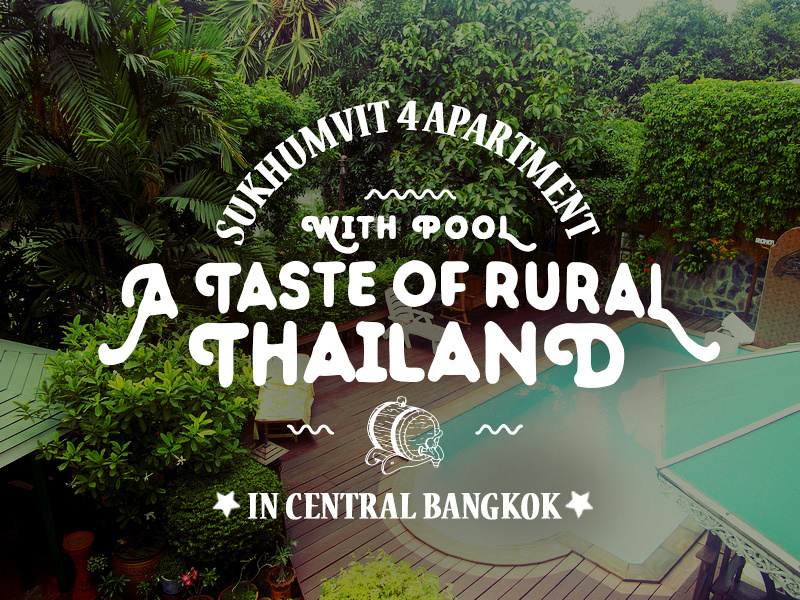 I selected this property because it was near where I was staying the night before and I needed another two nights in Bangkok. I didn’t want to waste time by moving across town again so I picked this place nearby. It turned out to be a great choice and one that I might not have otherwise picked. This apartment as the end of Nana (or Sukhumvit 4), down a side soi, and then at the very end of another soi. 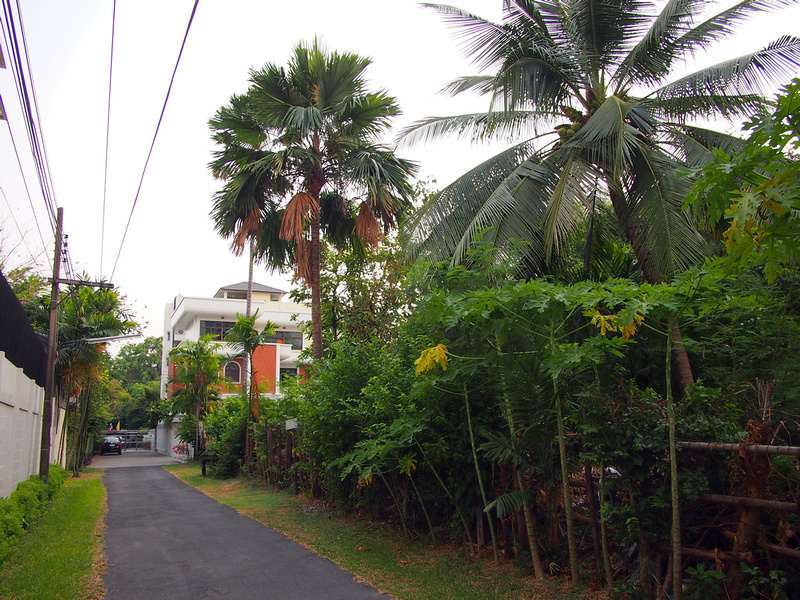 On this last soi there is a big empty lot with a coconut tree and papaya growing on it. With just a couple of turns down a few alleys I went from the biggest party street in Bangkok to a little lane that feels like it’s in rural Thailand. The apartment building is set on a property with a swimming pool and garden area. I booked a one bedroom apartment which had a separate kitchen and lounge room. I used the kitchen bench for a workspace. The bedroom was spacious with windows on three walls. 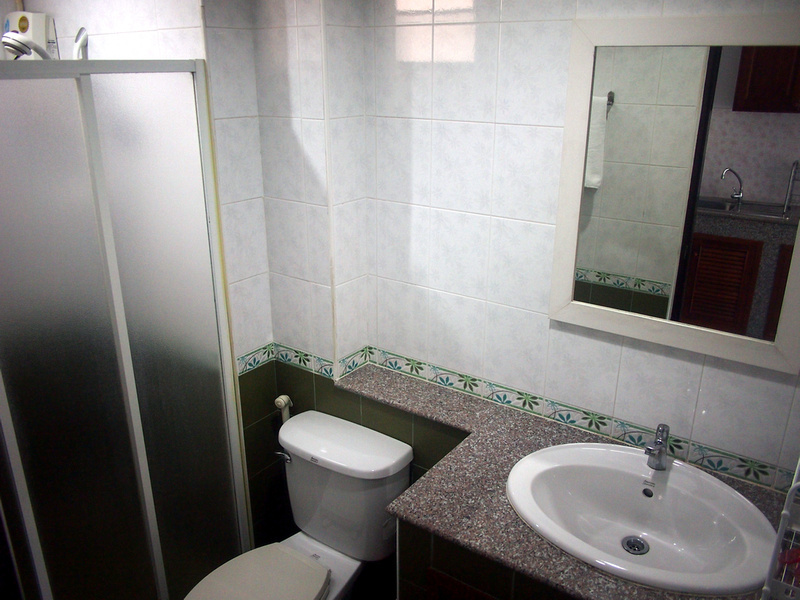 The bathroom was clean and in good condition. There is a small balcony attached to the lounge room which overlooks the garden and pool area. On the boundary of the property is a canal, which was a surprise to me. I am familiar with some of the canals of Bangkok but I keep forgetting how many canals there are. 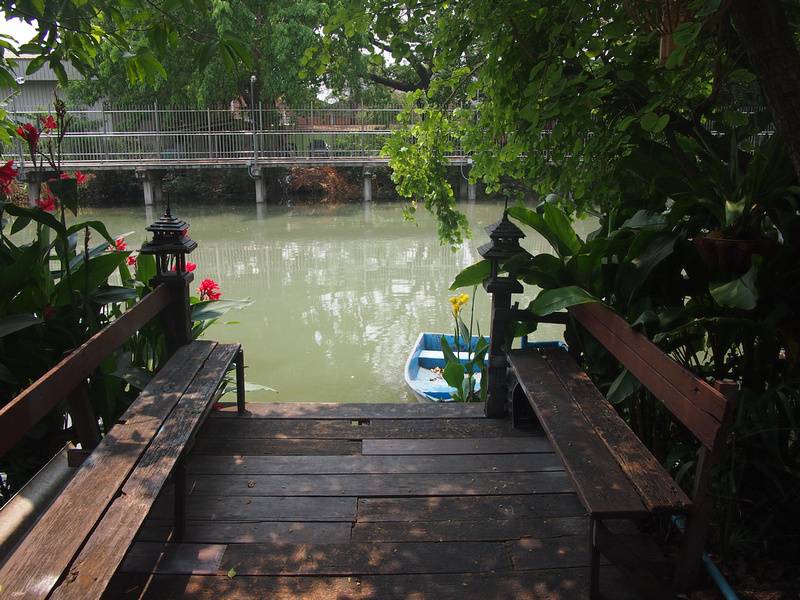 If you are familiar with Bangkok the other side of the canal is the Tobacco Monopoly property. Overall this was a great place to stay. 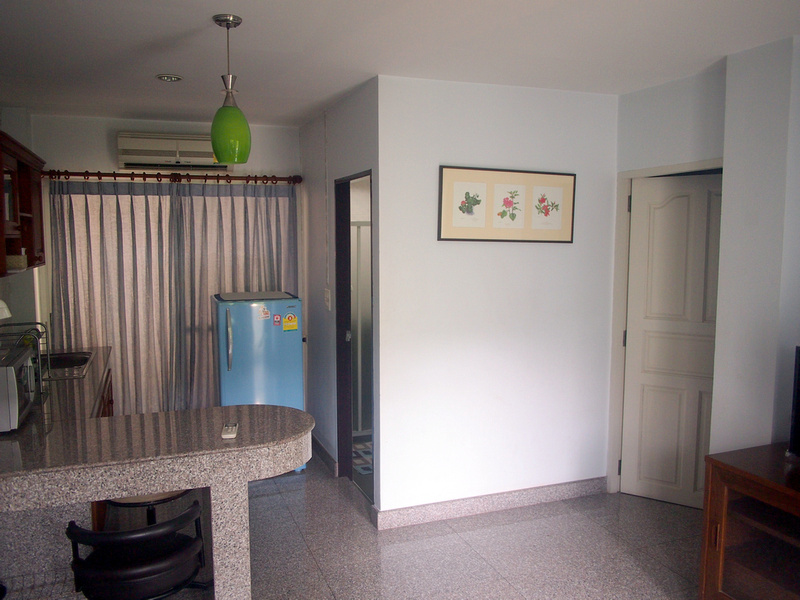 The property is a 15 minute walk from Nana BTS which is ok if you don’t need to come and go continually throughout the day. 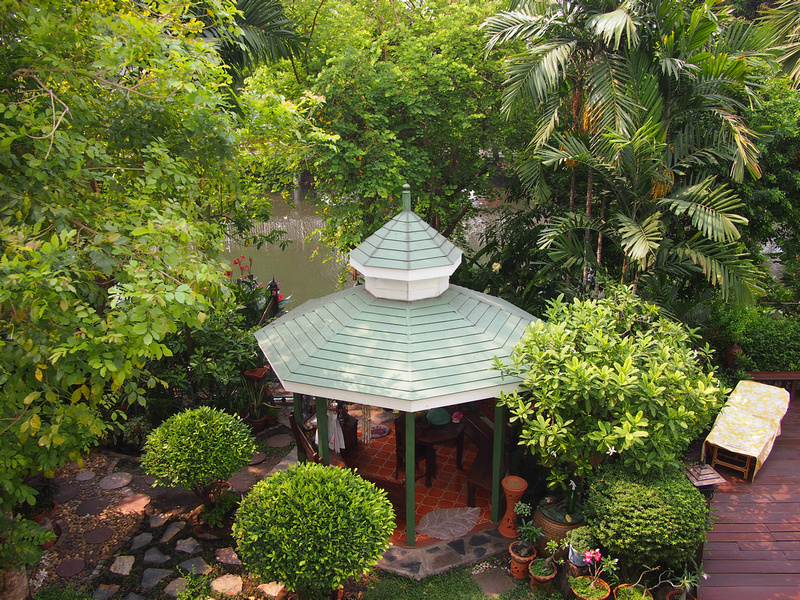 I loved having a pool and being in a little oasis in the middle of Bangkok was a nice break from staying on busy Bangkok streets. 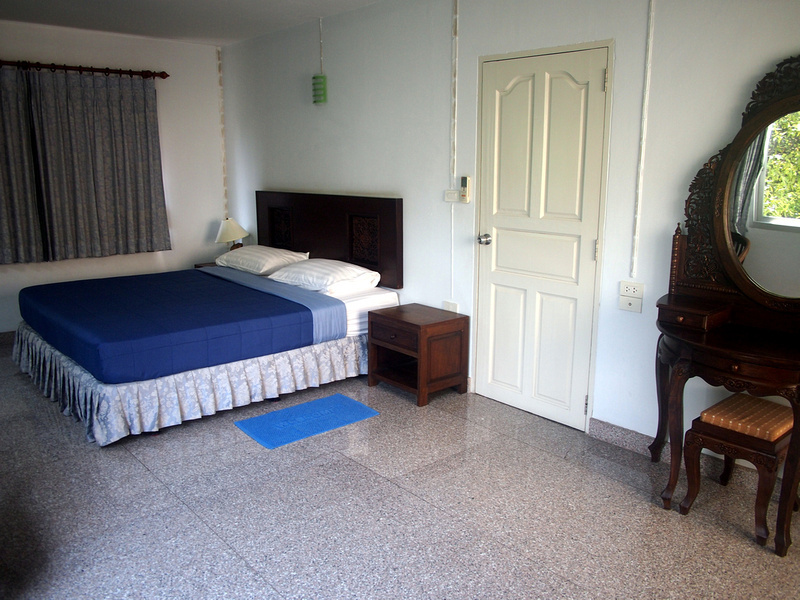 I booked this at the last minute (the night before I stayed) and the rate was listed at $49 USD per night. If you haven’t used Airbnb before you can get a $20 credit on your first booking.